Match Grade Rifle Ammunition - Nosler® Match Grade Ammunition consists of Nosler’s precisely-designed Custom Competition® bullet along with Nosler® brass. Match Grade-RDF ammunition brings all of the ballistic advantages of the RDF bullet line to loaded ammunition. 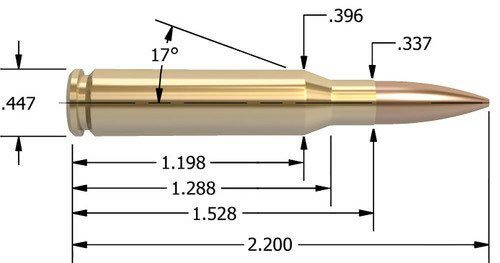 Designed specifically for long range competition, the RDF bullets feature highest in class BC’s and incredibly small meplats for consistent precision and flat trajectory at long range. Loaded in premium Nosler brass, Match Grade-RDF ammunition is carefully loaded with precise, high-performance powder charges for accuracy and consistency that competitors can depend on. For the first time, Nosler Sporting Handgun™ and Custom Competition™ pistol bullets will be available in Nosler® Match Grade™ handgun ammunition.